I have been very fortunate to have some fantastic mentors. 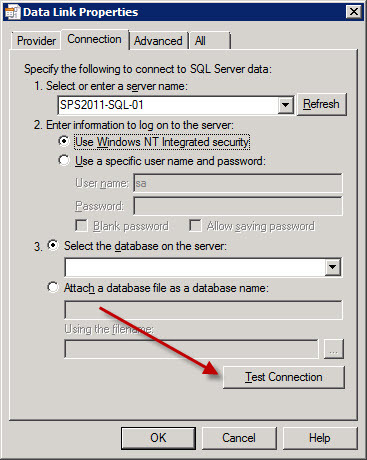 One of them is a gentleman by the name of Ken Ammann, who taught me this trick when you need to verify your SQL connection or get your connection string. 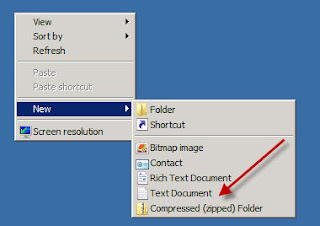 1) From your desktop, right-click and create a new text document. 3) Click Yes to verify the change of extension type. 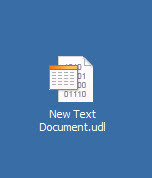 4) Open the UDL file and set properties. 8) Take a look at your connection string. 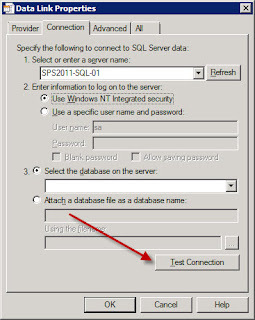 It is a nice easy way to verify your SQL connections when you need to verify that you still have a SQL connection. The real reason that I wrote this post is that I was spending too much time trying to recall the UDL extension name.